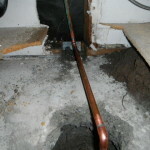 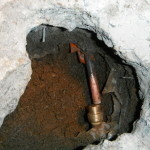 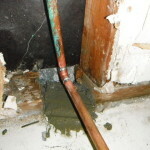 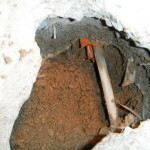 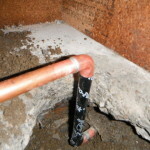 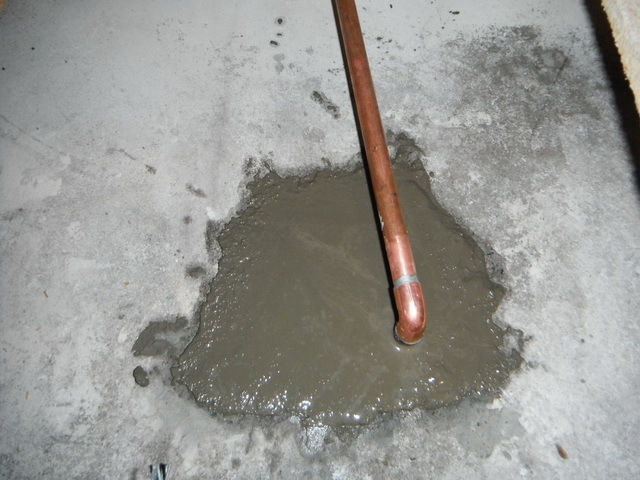 This leak was located in the slab underneath the kitchen sink cabinet. 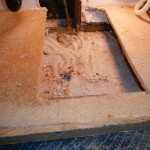 We accessed the base of the cabinet/wall and slab and abandoned the failed line in the slab and brought a new line up out of the slab. 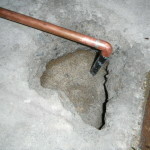 After repair was made we back-filled with concrete.